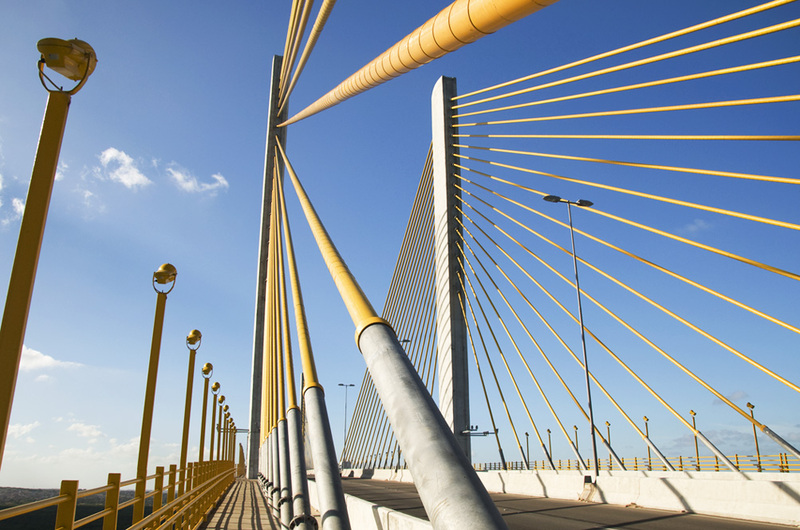 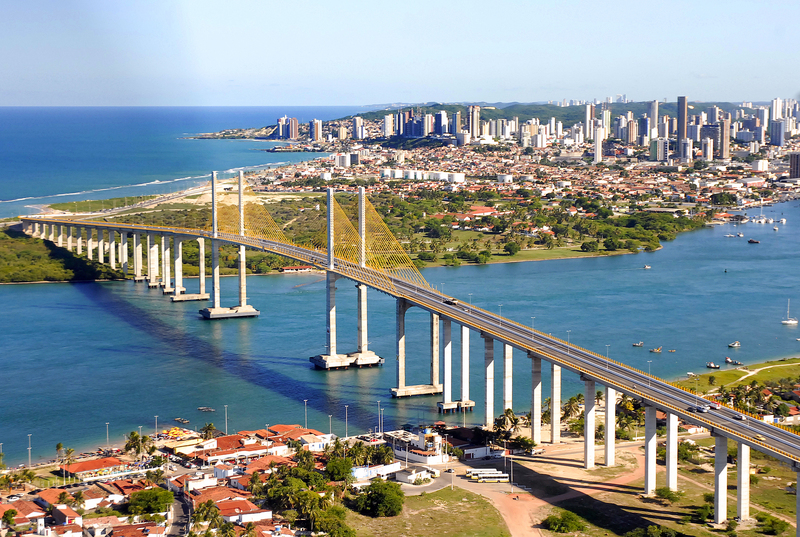 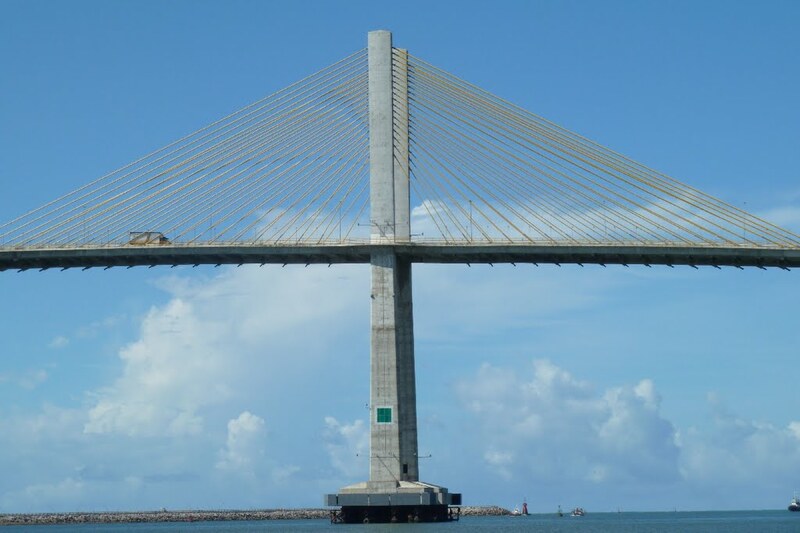 The Newton Navarro Bridge, is one of the biggest cable-stayed bridges in Brazil. 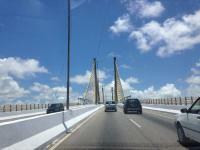 It is located in the city of Natal, capital of the Brazilian state of Rio Grande do Norte. 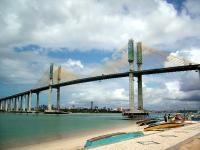 It connects North Zone and the cities of the north coast to the South Zone and other regions of the city crossing Potengi River. 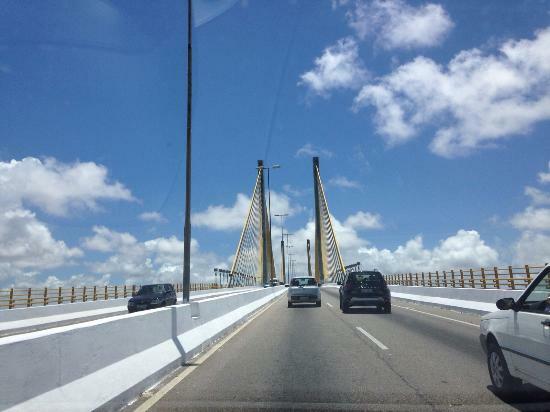 The main purpose is to ease the usual heavy traffic in Igapó bridge and to improve access to the future Greater Natal International Airport and its adjacent areas, also increasing the flow of tourism in the north coast and improving access of the inhabitants of the North Zone to the downtown and main zones. 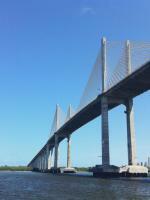 It is named upon Newton Navarro, an important local artist.